Often, couples experience relationship problems not because their relationship is bad, but rather because they have fallen into a stale routine and have failed to realize it. We are all creatures of habit and tend to get into a pattern of doing the same thing the exact same way every day. We wake up, go to work, come home, have dinner, sit on the couch for a few hours watching T.V. and then go to bed. Sound familiar? If it does, it is time to take action and break this pattern. The best way to keep your relationship interesting is to try something new. If you normally give your wife a kiss on the lips before you go to work, try kissing her on the forehead instead. Surprise her with flowers or chocolate for no reason at all. Try anything to mix things up and keep her on her toes. If you and your significant other like watching movies, then you will really like today’s article. Let me start off by saying, I understand that not everyone has an iPhone or an iPad, but I want to talk with you about an exciting iPhone app call tidVid. If you are not familiar with it, tidVid is a really cool way for couples to watch videos together because you don’t have to decide what to watch up front. How many times have you found yourself searching for a decent movie to watch on Netflix? You spend ten minutes reading the movie descriptions and asking your partner what they want to watch. You finally select a movie, press play and only to get a pop up that says the movie is “buffering”. How frustrating is that? On the contrary, with tidVid, all you have to do is just gather around the iPhone or iPad, download tidVid, and then run the app. Videos immediately start playing. If you don’t like a video, swipe left. If you do like a video, swipe right. The videos you like will be saved so you can watch them again later. There are also a number of built-in high-quality channels, such as Trailers, Comedy, Animals, Beauty and Fashion, Cool Products, and so on. It’s so easy to waste 30 minutes trying to decide what to watch as a couple. Now you can just watch together and decide what you like as you go. 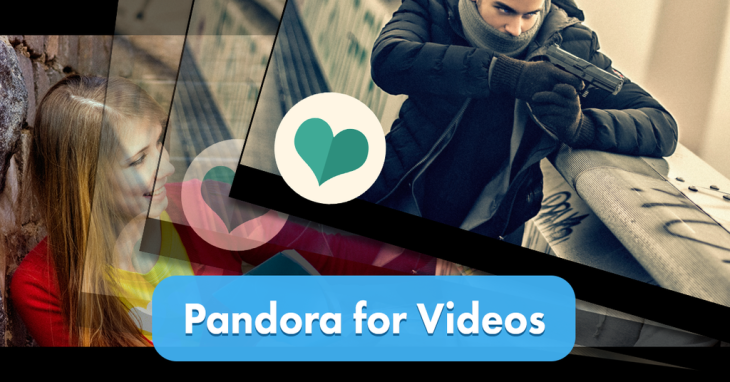 It’s like Pandora for Videos. And because the videos all play automatically, it’s incredibly fluid and easy. Forget about Netflix, watching movies with tidVid is the wave of the future. The best part about it is being able to use tidVid on the go. Whether you and your partner are working out at the gym or lounging at the pool, you can simply pull out your iPhone/iPad and access the app. In addition, there are frequent updates so you can always access the latest and greatest shows and movies as well. I personally use this app everyday and I think it is outstanding. Hopefully you will download and comment below on how much you loved it as well! Thanks so much for reading! Talk to you again soon!